In early game, this can be a good money maker for you to get started. You first need to mow the grass. At a very basic level, you could get the Pottinger NOVACAT 301 ED for a measly $19,000. Mount this to the front of your tractor and add in the KUHN FBP 3135 for $76,000. Then just drive around. This will mow and make wrapped round bales that instantly turn to silage. It is a slow process, and you will need to get the bales to the barn to sell on a trailer, so may need to add in a front loader, bale fork and a trailer for that, but it is relatively straight forward. 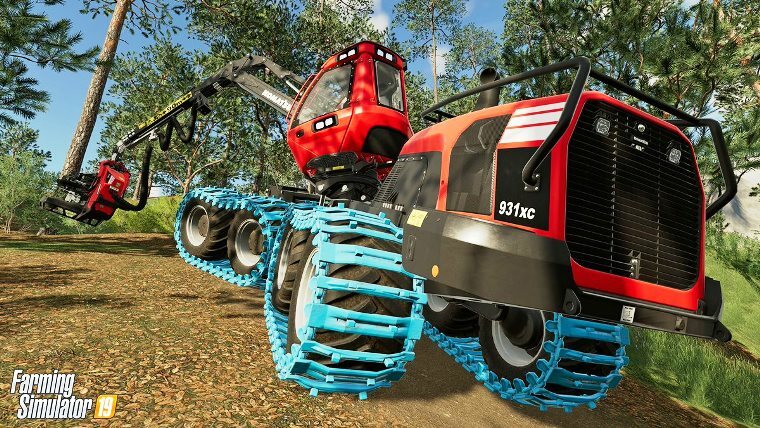 Mid game / late game you can look at going to the Krone Big-M 480 mower for $380,000 and a working width of 9.9m. This can mow into windrows already, so just need the KUHN FBP 3135 to make wrapped bales for silage with an auto-loader trailer for collection. Add a tedder (like the Pottinger HIT 12.14 T $27,000) to make hay and a windrower to clean it up (Lely Hibiscus 1515 CD Profi $62,000) to your vehicle collection, then use a forage wagon to gather hay or grass when needed for your animals. In late game, I would recommend to only do this for feeding your animals. Have a grass field near your animal pens and use it for grass, silage and hay as required. This produces a lot! The first point is to only work fields either adjacent to the BGA or build your own silos next the field you want to work. Because of the amount of chaff, if you have long haulage routes, you may as well go play euro truck simulator. Corn needs to be plowed every time. You need either a good plow or a subsoiler. The biggest plow, the SPSL 9, costs $130,000 and has a 10.5m working width. The catch is that it needs a tractor with 550HP. If you cant afford this tractor, then your next best bet is a subsoiler. The Agrisem Combiplow has a working width of 8m, costs $82,000 and needs 420HP. Any other options will mean you spend hours getting the plowing done. Note if you have lime set to on, you will occasionally need to do this too. You can Lime anytime, but for realism's sake, do it either before plowing and it will be plowed into the ground, or after you plow and your seeder can work it into the ground. If you don't plow, you will need to cultivate or direct seed and you will get a reduction in yield. Get yourself a seeder that has fertilization ability, this will save you a pass over the field doing a fertilization step later. I like the modded Great Plains seeder from Custom Modding as this plants corn whereas the standard one doesn’t and has a working width of 18.2m so is quite quick. With the addition of the fertilization tank that you can tow behind it, you can get the first fertilizing done at the same time as you seed. The Great Plains seeder costs $142,000, I can't remember the cost of the fertilizer tank. It will need 280HP in your tractor to tow it. You don't need to cultivate at all since you have plowed, so you don't need a 'direct seeder'. If you haven't plowed though, use a direct seeder, then you don't need to cultivate, but there will be a yield reduction from having not plowed. I use a sprayer, any one will do if it can do liquid fertilizer and herbicide. You will get weeds (if you have it turned on in settings). For weeds, I like to wait till the crop is in late stage growth and spray it then. In early stages, you could use a mechanical weeder like the Einbock which fertilizes at the same time, but I am always nervous the weeds will regrow anyway (not tested) so I just wait till near the end and use herbicide. You can use the sprayer for fertilizer as well, and if you have fertilized during seeding, only need one more pass of fertilizer during growth to get full bonus. Side note, the sprayers pay for themselves quite quickly in contract work as well. With their large working width and relatively low cost of fertilizer and herbicide, you can make some steady income on contracts when you are not using it for your own crops. Read: I'm not entirely sure why, but I absolutely adore this game. A couple of options here. You can go big (and pricey) with something like the Krone BigX 1180 at $515,000 with the header Krone X-collect 900-3 (another $120k) and you will get it done in short order, or you can go cheap. You can utilise the Pottinger Mex-5 for $38,000 and attach this to the front of your Tractor. This will give you a 2.2m working width, but is a cheap option to get you started on your first harvest. You need a trailer of some sort to collect the outputs of the harvesters. One way to do this is set whatever harvest option you have gone for to work with a worker. You can drive a truck or tractor with a trailer (check that it takes chaff) and the worker will fill you up with chaff. One of the trailer options is to use the sugarcane trailers like the Randon Sugarcane Trailer, or the semi-Trailer. You can link a couple of these up together in a train for even more capacity. The issue with these though is that they only side unload, so can be a bit difficult getting them into the silo. They have a great capacity of 70,000l but one of the other benefits is that you can connect them directly to the Krone forage harvester. If you are using the MEX-5 that goes on your tractor, you can have a trailer attached to the rear of your tractor as well. The difficulty here is in single player, there is a lot of haulage needed which is why you want the field you’re working close to your silo. 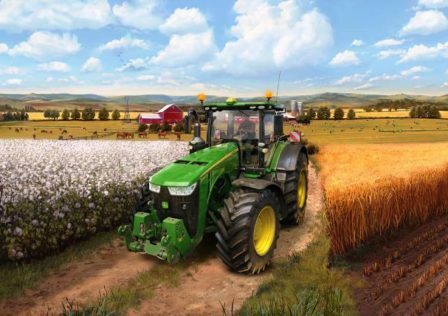 Without using Courseplay, the worker in your harvester also stops all the time when there is no trailer nearby, so you keep having to stop and start him after each haulage. To do this without workers; Expensive – Krone Big X 1180 with header and a couple of sugar cane trailers towed directly behind the harvester. When trailers are full, disconnect and take them to the BGA. Cheap – Tractor with MEX-5 and a trailer on the back. When full, disconnect the header and drive off to the BGA, come back and pick up where you left off. Step 6: Compaction and Fermenting. This is easy, just drive around in circles with a tractor inside the silo to get 100 percent compaction, blanket the silo, and let it ferment. To get stuff out of the silo to sell there are three main options. Belts, front loader, or the Ropa NawaRo-Maus. I got belts to work but they can be fiddly. You firstly need a Lizard S-710. This will get the silage off the ground and onto the belt system. You then use the Grimie TC 80-16. These are general transport belts that will give you length to your belt system. Lastly, need the Grimmie SL 80-22 Quantum. This belt allows elevation to get material either into a trailer or into the BGA silage processor. The hard part with belts is that I found I had to babysit it a lot. Keep moving them round to get more silage picked up etc. One suggestion though was once your belts are in place, you could use a leveller to push the silage towards the Lizard S-710 and this may be easier than moving your belts all the time. Front loader is self-explanatory I think. Get a bucket, fill with silage and dump it in the sell point. The Ropa NawaRo-Maus is designed to pick up crop off the ground and works with silage. It has a large belt out back which you can rotate and a counter weight that will move automatically. You can drive this into your silo, bring a trailer in behind it and fill it pretty easily. Your alignments don’t need to be perfect as you can rotate the output belt on the machine to where you need. This is the method I ended up going for, but the Ropa was around $330k so it is quite a pricey option. For selling, you can take it to the barn and drop it there for a price that fluctuates like other crop values. The good thing here is that you can dump an unlimited amount and get paid straight away. At the BGA (and you must own it for this) the hopper can only hold 50,000l max and you have to wait for this to process to be able to fit more in. This is why I went with the Ropa NawaRo-Maus, as I could fill a trailer, dump the silage into the BGA and then leave it all for a couple of hours to process, then repeat, rather than working the belts the whole time. I was doing this on Estancia Lapacho though where the tip point for silage is at ground level. If you need to go high into the processor, you may want to investigate auger wagons, or use the sugarcane trailers as their tip point is quite high. Same idea with a front loader but without using a modded bucket, the capacity is so low it takes ages to fill up the 50,000l. With the BGA, you don't get paid straight away, you need to wait till midnight for your days payout. The silage needs to be processed, so if you dump a 50,000l amount into the processor at 2359hrs, it will not be in the payout, it will process over the next day and you’ll get paid 24hrs later. If you do sell/process at the BGA, it also produces digestate that you can use as a liquid fertilizer for free. There is a bug that the BGA is only paying out at the rate of the 'hard' economy, despite whatever price it says in the in-game economy menu. This is apparently fixed in the beta 1.3 update that came out a couple of days ago, so if you’re on PC, get the beta, otherwise you’ll have to wait for official release. As an additional, I am getting into using Courseplay, and even in its beta state, have found I can easily set up a harvest route, with either of the harvest options from Step 4 above. I set up a field work route with my harvester and have a couple of trucks pulling trailers set on the collection mode. Record a route for them that goes through the BGA silo and they will follow the harvester, when full, go and unload in the silo and drive back to the field. As the silo gets full, the trucks may start slipping on what was already dropped, so you may need some manual driving to get them unloaded, but the general transit works well. Kentucky Farmer on Youtube has some good Courseplay guides for FS17 that essentially work the same in the FS19 version. 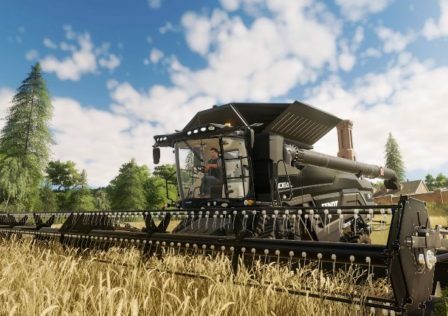 © Post "Guide: Silage Making in FS19" for game Farming Simulator 19.